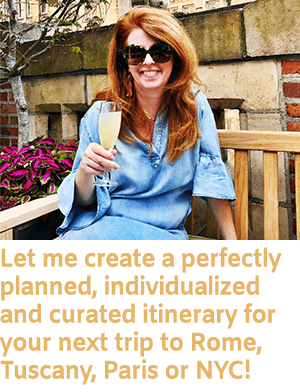 Since I started The Curious Cowgirl, I have been so flattered to receive frequent requests to help readers plan a meaningful and individually created travel plan to NYC. I adore this city, and sharing my tips and knowledge with others is super fun for me! One questions I get asked a LOT….”Hey Curious Cowgirl…I’m taking my grandchildren/young children to NYC…what suggestions do you have? If you want to keep little tourists happy, at two SUPER Kid-Friendly NYC Museums, then read on…. The entrance is DOWN the stairs! According to their web site, “Founded in 1976, the New York Transit Museum is dedicated to telling and preserving the stories of mass transportation – extraordinary engineering feats, workers who labored in the tunnels over 100 years ago, communities that were drastically transformed, and the ever-evolving technology, design, and ridership of a system that runs 24 hours a day, every day of the year. The day I visited, I was totally entertained walking in and out of subway train cars, beautifully preserved. There were several children in the museum, and they squealed with delight as they raced from car to car, sitting in the conductor’s seat, and getting a true interactive experience. If you are planning to be in NYC at the end of October, the New York Transit Museum Nostalgia Rides will transport straphangers to another age, using the same equipment that city dwellers would have ridden more than a century ago. Riding in an authentic IND R1-9 vintage subway car, on October 27th, 2018, visitors can sit on the seats, hold onto the handrails, read the vintage advertisements, and travel through time to the early days of the New York subway system, all the way to the Green-Wood Cemetery at twilight. The web site encourages visitors to “pack a picnic and take a guided tour to learn the fascinating stories of Green-Wood’s permanent residents, including famous actors, politicians, artists and inventors from the Victorian era and beyond.” Sounds like perfectly spooky and awesome fun to me!!! Ready to go? Have a hotel in mind? 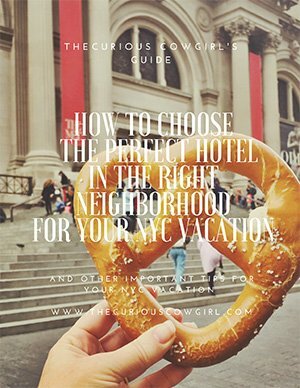 Grab a copy of my my FREE NYC Hotel Guide! Click on the image below! My husband and I visited this fabulous museum together, and agreed that is is a total gem! According to the website, the New York Fire Museum “displays illustrate the evolution of firefighting from the bucket brigades of Peter Stuyvesant’s New Amsterdam through the colorful history of volunteer firefighters to modern firefighting techniques and equipment. The Museum also houses a special memorial to the 343 members of the FDNY who made the Supreme Sacrifice on 9/11 and features a number of firefighting artifacts recovered from the World Trade Center site. A video room and a mock apartment with an artificial smoke machine and black-lighted fire hazards are used in the museum’s fire education program for school children ages K through 12. The artifacts in this small museum are fabulous, and kids and adults will thoroughly enjoy seeing the tradition and history of the FDNY, as well as the evolution of fire-fighting equipment over the years. Location: The Transit Museum is located in Brooklyn. You can easily reach the museum from Manhattan on the 4 or 5 line, and if you are unsure about using the subway, check out this post. It’s EASY! The New York Fire Museum is located on the far west side of SoHo. Both museums have GREAT gift shops…and y’all know I’m a big advocate of shopping in the gift shop, because you are directly supporting the museum. While every visitor is different, I’d suggest allowing two hours in the Transit Museum, as the collection is large, and kids will have a lot of fun getting in and out of all the subway trains. Allow about an hour for the New York Fire Museum. I hope these Kid-Friendly NYC Museums make your must-do list on your next trip to The Big Apple! If you’d also like guidance on where to take your family to eat while in NYC, my NYC Restaurant Guide is only $10 and has over 30 restaurant suggestions, organized by part of town, and includes phone numbers, and information about those that participate on Open Table. Worth every penny y’all!!!! 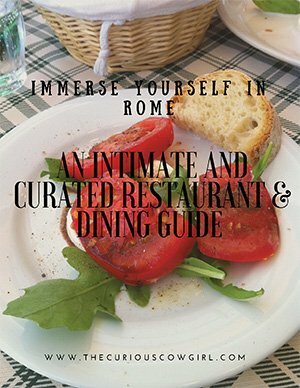 If you enjoyed this post, and want to receive all The Curious Cowgirl’s Travel Blog posts in your inbox, click here to join the list! There both absolutely wonderful museums and worth seeing. Glad we could see these cool spots together!!! I would love to go on a trip like that very soon! I hope you can too!!!! These sound like awesome museums! i love anything kid friendly and unique, and these both look well worth the trip! They are for sure both! I have always wanted to go to NYC! My husband says it is like nowhere else you will ever visit 🙂 my kids would love the transit museum and sitting in all the different cars! I sure hope you can go someday soon! It’s really fabulous! Not gonna lie…I had a great time…with no kids in tow at all! HA! This is a bit different from all the tourist attractions that you usually read in a New York guide. I would love to visit the transport museum and imagine how the New York tube used to look many, many years ago. I really like to introduce my readers to new and interesting opportunities! These museums are so much fun for kids and even big kids like us! Thanks for sharing! Those are such a great museums ! I have to share this post with my sister as she lives near by NYC with her two little boys and she always looks for fun things to do when she’s in the town! Oh good! So glad this might help her plan a fun trip!! My kids have been dying to go to NYC and this post just helped me plan a little part of our trip. Thank you for the great info. Oh Carmen, I am SO glad! That is precisely why I write this Blog! Please don’t hesitate to email me if you need any more help!!! We will be visiting New York this year. Would love to take my son to the museums! They are both fantastic!!!! Let me know what you think! I had never heard before of this museum, but from the photos it looks lovely. Perfect for children and younger kids. It’s helps to know beforehand about things you can put on your travel itinerary for kids while traveling. Else, we end up with more things grownups enjoy and kids get ‘super bored’ or which the kids enjoy and we end up tired. The mass transit museum seems to be a place which both kids and grownups can enjoy alike…I know my son would. It totally is! I was 100% entertained, and had no kids with me! I’ve been planning my visit to NYc for as long as I can remember but this is the first time I hear about these two museums! they sound really awesome and I must add them to my list of places to visit!